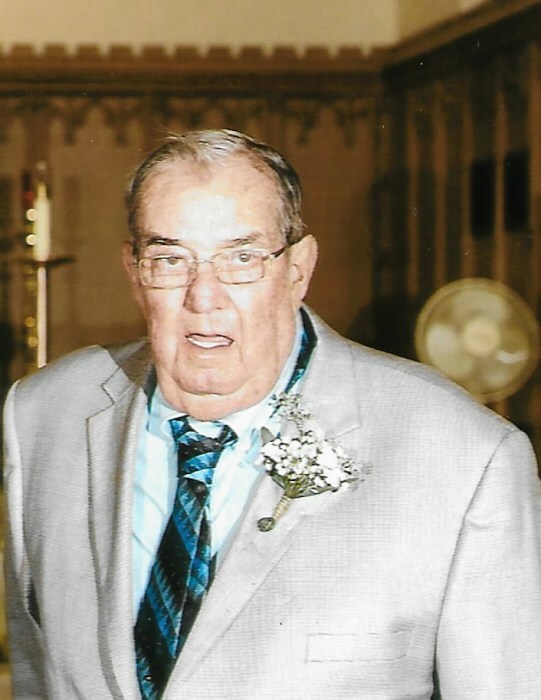 James E. Speiser, Sr., 83 years, of Defiance, passed away Thursday, January 31, 2019 at Park View Nursing Home, Edgerton with his family at his side. Jim was born July 24, 1935 in Defiance, the son of the late Paul F. and Mildred Lucille (Fahy) Speiser. He was a 1953 graduate of Sherwood-Delaware High School. He married Nancy J. Fisher on December 31, 1955 in Sherwood and she survives. Jim worked for Diehl Inc. for 43 years, retiring in 1995. He was one of the original Defiance County Sheriff’s Posse members and served as a Delaware Township Trustee for 12 years as well as a member of the Defiance County Fair Board. He enjoyed raising Thoroughbred Race Horses, traveling and spending time with his family and friends. He was known as a Moral and Christian Man. Surviving is his wife Nancy of Defiance; one son, James (Gina) Speiser Jr. of Edgerton; one daughter, Christina (Melvin) Adkins of Sandusky, Ohio; five grandchildren, Tarah Speiser, Cally (Charles) Martin, James (Tristen) Speiser III., Bretta (Travis) McAdams and Bree (Devin) Miller; five great-grandchildren, Vanessa Martin, Charlie Martin, Kayla McAdams, Otto McAdams and Piper Miller; three brothers, Joseph (Judy) Speiser of Defiance, Jerry Speiser of Cincinnati and J.W. (Michelle) Speiser of Defiance; two sisters, Jeannine (Robert) Luderman of Hicksville and Judith Bayliss of Sherwood. He was preceded in death by his parents and one brother, John Speiser. Funeral services for James E. Speiser, Sr. will be held at 11:00 a.m. Monday, February 4, 2019 in the Oberlin-Turnbull Funeral Home, 230 East Elm Street, Sherwood, with Pastors Ned Speiser and Burnell Hammonds officiating. The family will receive relatives and friends one hour prior to the service, beginning at 10:00 a.m. Monday. Private interment will follow in Sherwood Cemetery, at Jim’s request due to the cold weather. Jim wanted to thank his family and friends who made his journey on this earth both memorable and enjoyable. Those planning an expression of sympathy are asked to consider memorial contributions be directed to Community Health Professionals Home Health and Hospice, 1215 South Portland Street, Bryan, Ohio 43506.